Fat Decimator System Review: Kyle Cooper’s Scientific Diet? In the armed forces, there is no room for error. You simply cannot have overweight, out-of-shape officers in the line of duty when their lives are at risk. Kyle Cooper learned this the hard way. While serving in Afghanistan, he lost a 43-year-old man under his command during a combat operation. It was a tragedy. Kyle learned a tough lesson about combat readiness. Specifically, he learned that adults in their late 30's and older need a different way to get fit. And in the process he developed the Fat Decimator System, which we review here. 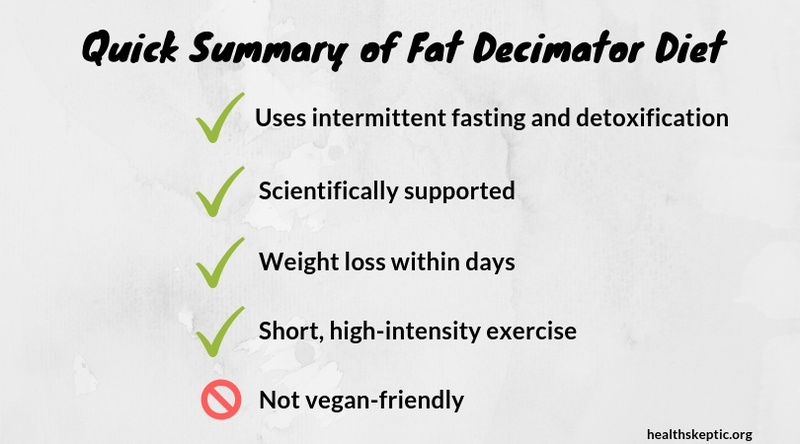 As usual, our review of the Fat Decimator System will focus on what's actually in the diet (unlike all the other reviews that just criticize the marketing behind it). It's among one of our top diets of the year. After the disaster in Afghanistan, Kyle Cooper (creator of Fat Decimator System) met a doctor named Sam Pak. Dr. Pak is the man who explained to Kyle that the diet and exercise of young people will not work for us as we get older. In fact, if you're in your 40's but you try to train like a 20-year-old, you could be making things worse. That's not to say exercise isn't important. The Fat Decimator program presents an alternative to long hours of cardio, which most people hate. What Is The Fat Decimator Diet? 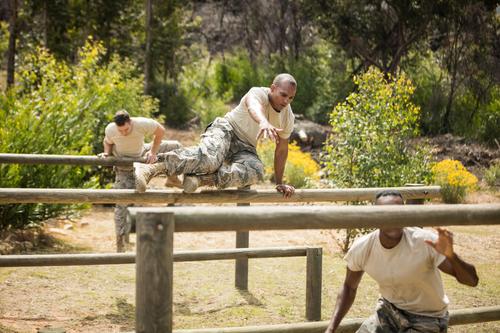 It is a military-tested program for steady fat loss, mostly through dietary modification. The program is meant to set you up for for long-term results, but also expect rapid weight loss in the beginning. They say you could lose 7-10 pounds in your first week, though results will vary. The diet plan lasts for 21 days. You will know exactly what to eat during each of the days, as well as when to eat it. It's important that you follow as closely as possible for each of the days if you want the best results. The 21 day long Fat Decimator diet is broken down into four phases. It's designed this way in order to properly mobilize your fat so it gets burned off as fuel. In Phase 1 (days 1-7), Kyle claims you can lose 5-10 pounds of weight. And it's incredible simple: you stick to a few small meals of protein and vegetables (from an approved list of foods) and eat during a certain window in the day. This begins the short term fasting process that provides a lot of the benefit of this diet. If you're not used to fasting it might be uncomfortable, but still nothing too bad. Phase 2 is brief and you will ramp up your fasting during this period. Again, it may be uncomfortable, and Kyle gives you an alternative if the fasting is a little too difficult. Phase 3 has you consuming high fat foods. It seems counterintuitive but Kyle explains that the healthy fats you'll be eating will actually help accelerate your fat loss, setting you up for the final stage. Phase 4 lasts for more than half the diet. It's a bit more straightforward than the first three phases. You'll be restricting calories based on your body's own metabolic needs. But your diet will look more normal than in Phase 3. After those three weeks, you're done. If you've followed it carefully there's a good chance you'll be well on your way to the body you want (if you're not there already). We've all heard about people who lose a bunch of weight only to gain it all back plus more. So there's a whole section in the Fat Decimator book that covers how to keep the weight from coming back. The good news is that you've already made this easier by sticking to the diet for 21 days. There is plenty of science behind this. There's a guide to keeping your body lean after you've hit your target weight. It goes into detail about how you should exercise and what your calorie intake should look beyond day 21. Maintaining is actually going to be easier than losing weight in the first place. Now that you've shifted your metabolism and detoxified, you can get away with a less strict diet and less exercise if you choose. What Are The Fat Decimator Workouts? Like we mentioned before, this program gives you an exercise regimen that's meant to complement your diet and – according to Kyle – as much as double your fat loss. It's fairly simple. You go on a brief daily walk, and do some resistance training. No long cardio, no treadmills. Altogether the workouts should only take you maybe a couple hours a week total. It turns out that diet is the most important factor in weight loss, and exercise is secondary. A good workout regimen can accelerate your results, but nailing the diet is most important. In our opinion, you can customize the exercise section to your preference. If you don't like the exercises Kyle gives you, instead do what you enjoy. Something is better than nothing. You don't have to take any supplements for this system to work. In fact he only suggests using a few very simple ones (one of which is a bit controversial – but again, it's just a suggestion). These are optional but he says taking them will help you get faster results. That said, you should be able to get the results you want without them, it just might take a bit more time. A word of warning: he also promotes his own superfood/energy supplement powder. It's also optional for this diet. He explains why the powder is beneficial to weight loss but it comes across as a sales pitch. We did not try this supplement so we can't give you an informed opinion at this time. For best results they emphasize having the right mindset. 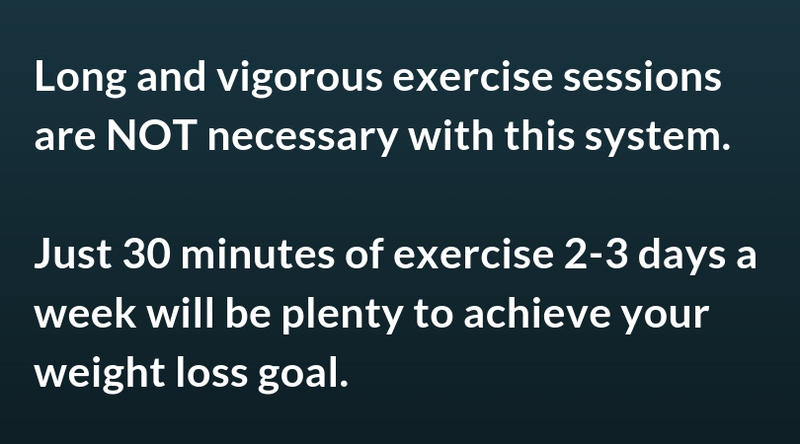 As stated above, it's one of the three main components of this system, along with diet and exercise. We agree that weight loss is as much a mindset challenge as it is a physical one. And so this section is one of the strengths of this program. He introduces an interesting way to coach yourself along mentally. You're focusing on forming a habit, essentially, using your brain's habitual pathways to your advantage. The discussion goes into detail and is worth reading. You'll find a different approach to weight loss in this system. For example, you're discouraged from eating certain vegetables due to a fat-inducing hormonal imbalance they cause. You also won't be eating any fat-free, sugar-free, low-carb foods that so many other diets encourage. Those foods contain certain amino acids that prohibit weight loss. And as we've said, it recommends short bits of exercise instead of long hours in the gym or treadmill. Diet alone should bring you most of your results. But exercise can give your metabolism and your mood a boost. 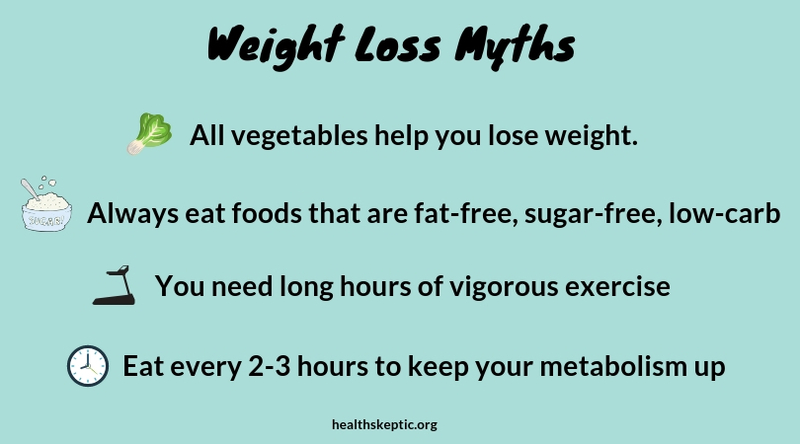 Perhaps the biggest myth of all when it comes to weight loss is that you need to eat every 2-3 hours to “keep your metabolism going”. Amazingly this claim has persisted over the years. But it's hard to ignore the many studies piling up showing the exact opposite: intermittent fasting is a powerful way to lose weight fast. The Fat Decimator System is based on Kyle Cooper's experience getting armed service members prepared for intense combat, so we know it's based on ideas that work. Conclusion: Does The Fat Decimator System Work? 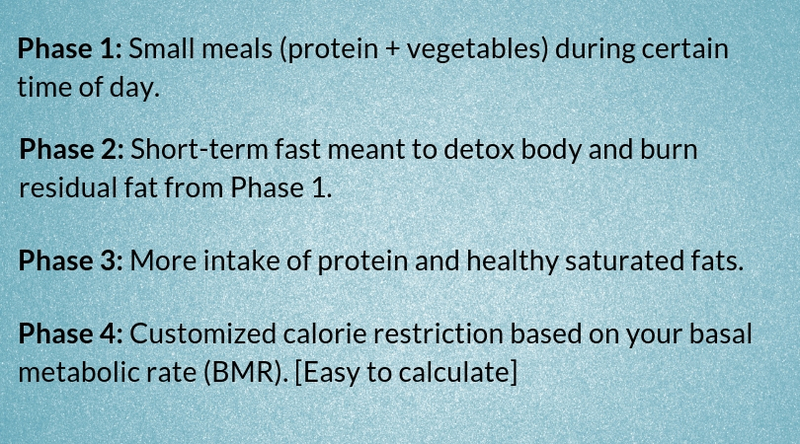 Short term fasting and calorie restriction isn't easy, but you get used to it sooner than you think. And there is plenty of research that says doing this will help you lose weight. Everybody is different, but we think that most people with extra fat could lose at least 5-10 pounds during the 3 week period. It's possible that you'll lose a lot more, and certainly there are testimonials of people who have done so. Still, it's good to have realistic expectations. Even if you don't lose every last pound during the three week period, you can still have a lot of success with Fat Decimator. Remember, the goal is to shape the body you want long term. Here's a quick list of some of the most common questions we get about this diet. 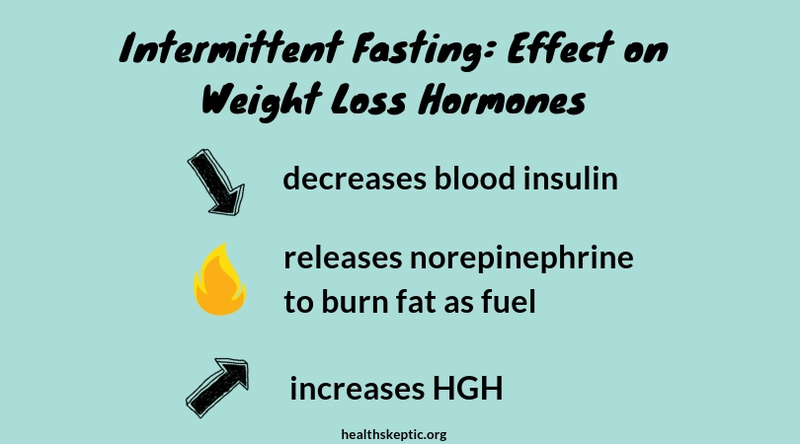 As we noted, intermittent fasting has been shown to cause weight loss in people. There are also a number of other health benefits, such as reducing inflammation and even slowing the aging process. Is this the same as crash dieting? No, intermittent fasting is much different. You'll still eat during an intermittent fasting diet, but it will be restricted to a limited window during the day. It's sustainable if done right, unlike crash dieting which is dangerous and can end up leading to additional weight gain in the future. Not at all. The sales pitch might be a turn off to some, but this system has been used by over 53,000 people already and it's based on scientific principles of weight loss. There is also support to contact with questions. Can I follow this diet if I'm allergic to gluten? Yes, you should be able to follow it fairly easily. In certain stages of the diet you have the option of eating foods with gluten, but you can just avoid them and swap in gluten-free options. However processed gluten-free snacks are prohibited. Can I adapt this plan to a vegetarian or vegan diet? Probably not. So much of the plan includes non-vegetarian/vegan foods that altering it would basically change the entire diet.